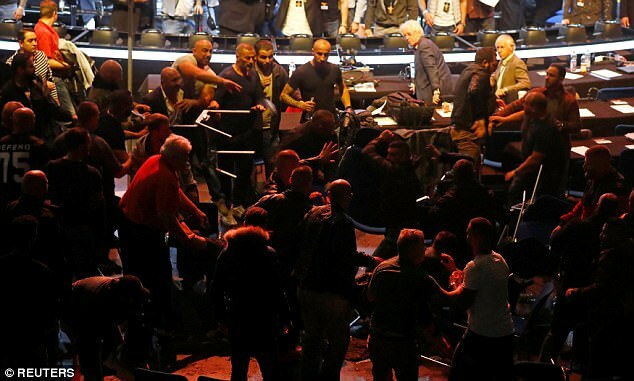 A massive, bloody brawl broke out at ringside here with an hour still to go before Chris Eubank Jnr was due in the ring for a world title defence already prefaced by ugly scenes during fight week. 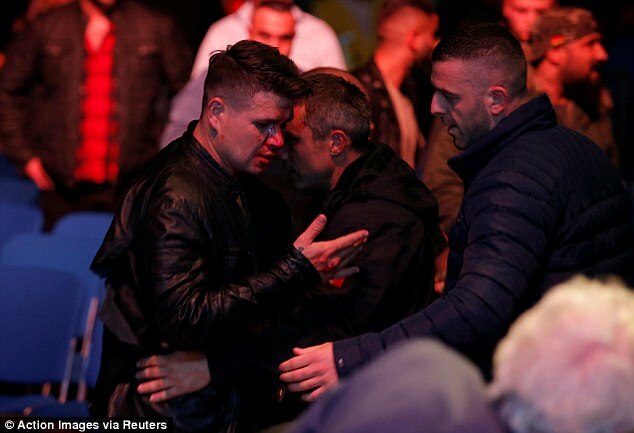 Eubank was preparing to meet Turkish iron man Avni Yildirim in what was also a quarter final in the new World Series super-middleweight tournament following disgraceful, menacing scenes at their media conference confrontation. 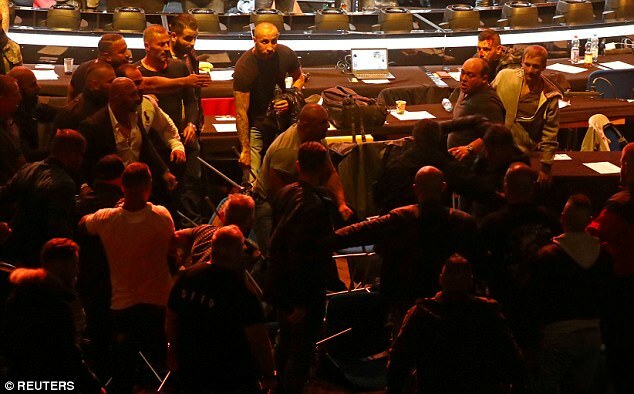 As a preliminary bout was getting underway two rival groups of Turks waded into each other, fists, feet and furniture flying. Elements of Eubank’s protection detail, some allegedly drawn from a notorious immigrant gang, were said to be involved as some fifty burly men went to battle for no visible reason. 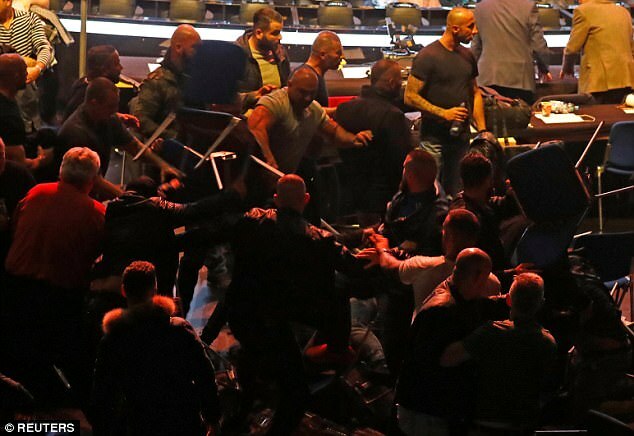 The violence was extreme, with metal chairs being wielded as weapons or hurled at opponents. Other combatants were nursing broken hands. If so, it was extremely realistic. The Turkish immigrant population of this previously peaceful, wooded city has swollen to 20,000 since Germany opened its borders wide to refugees and the arena is adjacent to the area of hastily constructed, basic accommodation in which many of them are housed.